Organic Beef CSA - Our 2019 meat box program is sold out. We will have beef available for retail purchase at the end of June 2019. 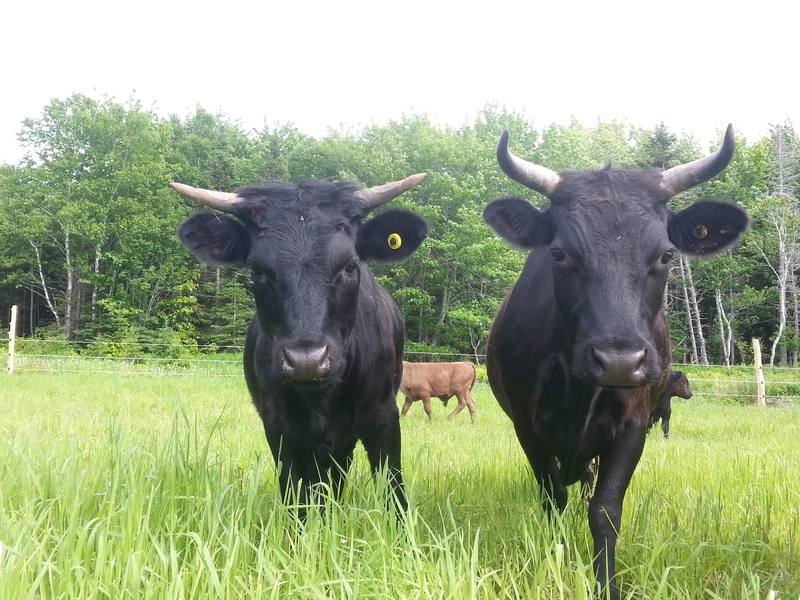 Our mission is to create the finest tasting certified organic beef in Atlantic Canada, in a manner that is considerate, humane, and environmentally conscious, supplying our consumers meat exclusively from purebred well cared for cattle in peak condition. We have been involved in with Irish Dexter cattle for over 23 years and strongly believe they are ideally suited for sustainable organic farming and ranching. We are passionate about offering our customers consistently delicious beef. Our unique knowledge of the breed have enabled us to create protocols for humane animal treatment, nutrition and shelter. The result we are proud to say is a quality of meat that is beyond expectations. We are passionate about our food. We want to create good tasting quality food for our family, our friends and our community. And since we are what we eat, we are very conscious of what the cattle eat. That’s why our cattle eat only organic grass, organic legumes such as alfalfa or clover, organic hay during the winter and cool clean water at all times. Our animals are grass fed and grass finished the way nature intended. GMO’s scare us a bit. It seems to scare some scientists and doctors too. So we play it safe and are GMO free. Our holistic management system is about prevention. No need for antibiotics. You don’t want those in your food. Neither do we. Our cattle are always humanely raised and handled. From birth till death all Dexter Cattle Company animals are managed with care in a manner that respects their various personalities. We raise our beef organically and avoid the use of antibiotics by minimizing animal stress, providing shelter, proper nutrition, lots of room to roam and graze with access to clean water and fresh air. Our animals are never confined to a barn. Grass-fed and grass finished. We select the animals only after they have been on the best grasses the season has to offer and the animals have matured and are in peak condition. Our customers always get the season’s best. What type of cattle do you use? 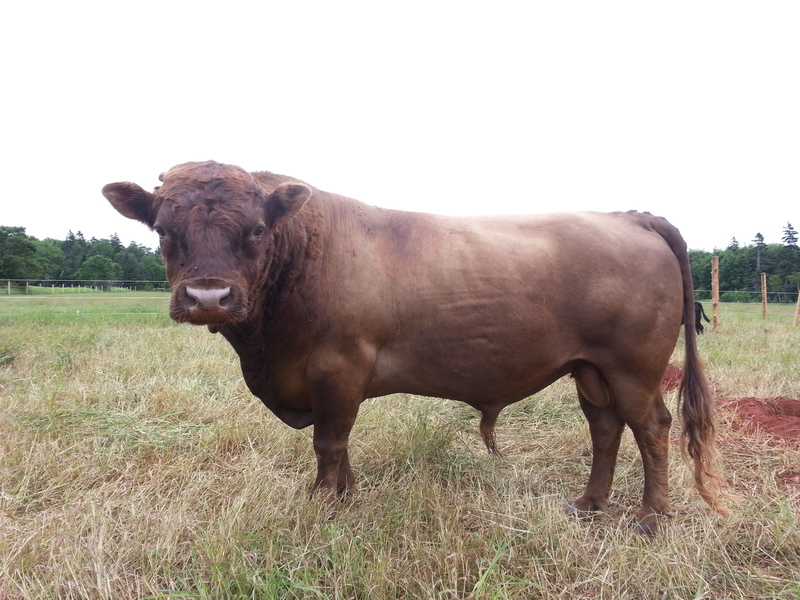 We raise Dexter cattle. Our breeding stock are 100% purebred and registered. The cattle are a heritage dual purpose breed that have roamed the hillsides of Ireland for centuries and are perfectly suited for the terrain and climate found on Prince Edward Island. Although they stand at only 92cm-107cm at the shoulder they weigh an average of 300-350kg. Dexters numbers are increasing in Canada and the breed has become established in all parts of the world. Dexter beef is outstanding both in quality and taste. This is the way beef is supposed to taste. Pedigree Dexter beef comes in smaller healthy cuts, and cooks superbly because of the excellent marbling. When chefs source for best in beef they select Pedigree Dexter Beef. Give it a try… you will be quite pleased. How do I order Certified Organic Dexter Beef?